Quiet, quaint, comfortable log cabin just out of town. You'll love this one! Located just minutes from down town Red Lodge, this cabin has a private bedroom set up just right for your romantic stay or room for you and the kids. The little gem of a cabin is historic in origin with modern day amenities that will help you enjoy your stay. 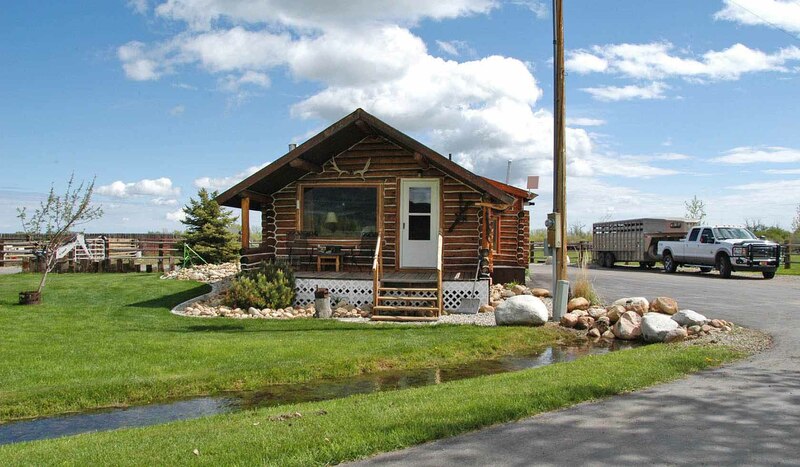 If you are looking for that classic Montana experience with log cabin walls surrounding you, mountain views just beyond the windows, wildlife strolling in and out of the area, and nights quiet and star-filled then you will definitely enjoy what Ty's Cabin has to offer. This rustic piece of heaven will wrap its arms around you and help you unwind from the possible busy pace you feel in your every day routine. The bedroom offers a king bed with an additional twin space for a little visitor. You will also find a roll-a-way bed in the closet to help accommodate that additional guest or child. You can watch movies on the tv in the bedroom with the vcr/dvd unit or you can sit around a cute dining table and play games. If you prefer, you can enjoy time on the front rustic porch and wait for the star studded show each evening.